Expose shows Maglan's problematic organizational culture after 2 commandos seriously hurt due to negligence and hazing. A new report exposed the series of severe mishaps that caused a commando from the elite Maglan special operations unit to suffer irreparable damage when jumping from a moving Hummer as part of a traditional hazing ritual. In August, the IDF removed two officers from their posts in the Commando Brigade's Maglan unit following a series of injuries that were a result of negligence. In one of the incidents, a soldier was seriously hurt when he jumped from the roof of a moving Hummer into a pile of thorn bushes. A Yediot Aharonot report on Monday found that the soldier was forced to jump from the moving vehicle by his commanders as part of a traditional hazing ritual. The probe showed a long string of failures stemming from a problematic culture within the unit. According to the findings, the injured soldier was the 15th conscript who jumped from the Hummer into the bushes, following the squad commander and the unit's sergeant. The drill took place with the full knowledge of Maglan's junior command despite it being illegal and unauthorized. 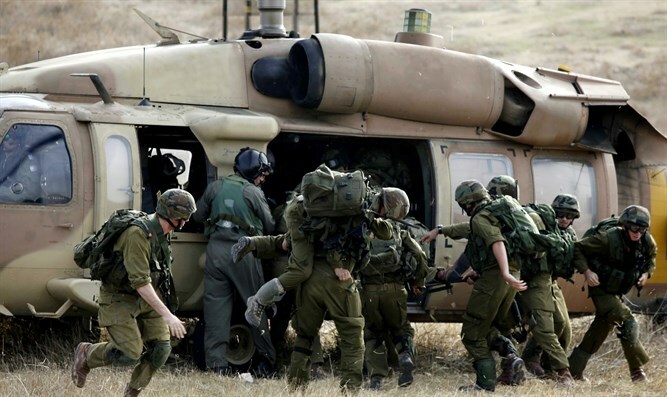 Despite the incident occurring close to Ashkelon's Barzilai Hospital, it still took two hours to evacuate the injured soldier after he fell on a pile of rocks instead of the expected soft landing. The unexplained delay caused the injury to deteriorate into a life-threatening wound and the IDF says that it will establish an investigative committee to probe the incident. Maglan claims that the holdup was due to the inability to remove the wounded from the training area. In a separate incident that took place within the same week, another soldier was seriously hurt during a Krav Maga martial-arts training course and was not sent to the hospital on time. The military will establish another investigative committee to look into the incident as well. Maglan Commander Lieutenant Colonel R' harshly criticized the going-on's in his unit following the report. "A combat soldier was wounded as a result of a foolish decision without any professional purpose, and the incident was not approved by the preliminary plans and therefore prevented commanders from stopping him in advance," he wrote. R' added that instead of hazing activities, "our team ethos should be based on our readiness for war and on operational successes, not circus activities. The commander of the squadron did not exercise the expected judgment and did not stop the unnecessary tradition that endangered our fighters. It is our duty as commanders to lead and define the norms ourselves, and not to toe the line. "